SCAVENGER HUNT FUN ON YOUR TIMELINE! SAVE TIME & FRUSTRATION BY ALLOWING US TO MAKE YOU THE HERO OF YOUR EVENT! OUR SELF-GUIDED HUNTS ARE READY 2 GO HUNTS OR CUSTOMIZABLE... FOR GROUPS AS SMALL AS 2 OR AS LARGE AS YOUR IMAGINATION! 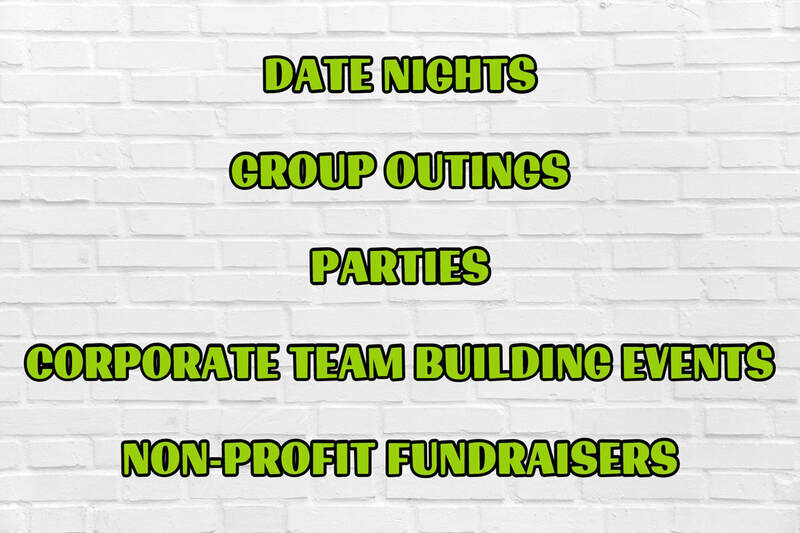 PLANNING AN EPIC PARTY OR AN INTERACTIVE TEAM BUILDING EVENT? Let's Go Urban will make you the hero of the day! Our mission is to bring people together for fun while fostering teamwork and open communication, effortlessly. Our self-guided hunts are customized to perfectly fit your entertainment needs. You choose the location, teammates, and time frames while we build the perfect scavenger hunt for your group. GIVE US 48 HOURS AND WE WILL CREATE YOUR AMAZINGLY UNFORETTABLE EVENT! ​ Call/text us @ 1-877-3letsgo or email us today so we can get this party started for you! This was my first time doing anything like this and wasn't sure what to expect. Let me tell you though, this was an absolute blast! I've lived in Tulsa my whole life and even close to downtown for a while now and this hunt showed so much I didn't know about! The list was long enough to keep us busy the whole time and constantly seeing new things! Definitely recommend for anyone looking to have a great time with family and friends!" Let's Go Urban created a custom scavenger hunt for our office party in Denver. They were available to assist any time we had a question and made the entire process very easy. Our outing was successful and people are still talking about the funny missions we had to complete as a team. We look forward to our next event with Let's Go Urban. 5 stars!" My 12 year old son really enjoyed his scavenger hunt birthday party, it was well worth the money spent. They responded quickly and had our hunt done within the time they promised. They took care of the entertainment so I could focus on having fun with the party. Thank so much!" ​This WAS a blast! I took a team and we worked together getting photos of specified items. It was a great way to learn all about downtown and get some great exercise. Well put together and truly a great experience and tons of fun!! Highly recommend!!"